Last week, speculation over one of the city’s biggest criminal cases in recent history came to an end: Chicago police Officer Jason Van Dyke was convicted of second-degree murder and 16 counts of aggravated battery with a firearm in the 2014 shooting death of black teen Laquan McDonald. He’s the first Chicago officer to be convicted for an on-duty shooting in 50 years. Sentencing and an appeal are sure to follow, but as that case comes to a close, another is yet to begin. Next month, three other Chicago officers will go to trial on charges of conspiracy, obstruction of justice and official misconduct for their alleged attempts to cover up the McDonald shooting in the minutes and months after Van Dyke pulled the trigger 16 times. Detective David March and Officers Joseph Walsh and Thomas Gaffney are scheduled to stand trial before Cook County Judge Domenica Stephenson beginning Nov. 26. They’re accused of falsifying official reports from the scene of the shooting in order to “conceal the true facts of the events” surrounding McDonald’s death in an attempt to shield Van Dyke from a criminal prosecution. Defense attorneys representing the men say no such conspiracy ever existed. But with Van Dyke now labelled a convicted felon and murderer, will his trial outcome affect the impending cover-up case? Like the Van Dyke trial, a special prosecutor – former Cook County judge and federal prosecutor Patricia Brown Holmes, in this case – has been appointed to handle the case. But unlike Van Dyke, the three officers here have opted for a bench trial, meaning Stephenson will decide their fate, rather than a jury. When Holmes first brought charges against the officers in 2017, she claimed it was “clear” the men had done more than simply “obey an unofficial ‘code of silence,’” and instead actively lied to conceal the events surrounding McDonald’s death on Oct. 20, 2014. Gaffney remains suspended while March and Walsh are no longer with the Chicago Police Department. Jurors began deliberating Van Dyke’s fate last Thursday on the fifth floor of the Leighton Criminal Court building. At the same time, three floors below, Judge Stephenson had just agreed to unseal dozens of pages of court documents in the conspiracy case following a lawsuit brought by local news outlets. Among those documents was a 42-page proffer Holmes filed in June that outlined the state’s case against March, Walsh and Gaffney. In it, Holmes claims the three defendants submitted “virtually identical false information” about the shooting, specifically that McDonald had used a knife to attack Van Dyke – who is identified only as “Officer Individual A” – along with Walsh (his partner that night) and Gaffney. “The false information includes that Officer Individual A was ‘injured by offender’ and that Officer Individual A, defendant Walsh, and defendant Gaffney were ‘VICTIM[S],’” the proffer states. Police dashcam footage released more than a year later showed that while McDonald was carrying a knife the night he was killed, he never injured any officers before he was fatally shot in the middle of South Pulaski Road. Gaffney and his partner, CPD Officer Joseph McElligott, were the first to encounter Laquan McDonald the night of the shooting. They pursued the teen – Gaffney in his squad vehicle, McElligott on foot with his weapon drawn – for a few blocks toward Pulaski Road. Gaffney eventually pulled up in front of McDonald, who popped a tire on the vehicle and slashed at one of its windows before continuing on. McElligott testified in the Van Dyke trial last month, explaining that he never fired at McDonald because he felt both he and his partner weren’t in any immediate danger. By opting for a bench trial over a jury trial, the impact of the Van Dyke verdict could be somewhat nullified, according to Chicago lawyer Antonio Romanucci. He believes judges are better equipped than juries to tune out the noise around a given case and focus in on the law. But at the same time, he said, “they’re not deaf” to what happened in the murder trial. 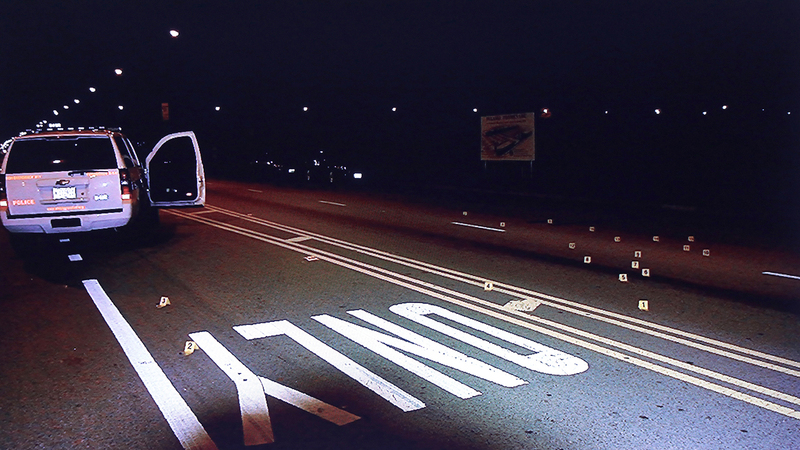 Just as it played a major role in the Van Dyke case, Romanucci believes the dashcam video will again have a significant role in the upcoming trial. For him, though, the “smoking gun” isn’t the tape, but the three identical reports from the scene submitted by the defendants.